If we’re honest we would all love to be able to whip up a beautiful festive arrangement. 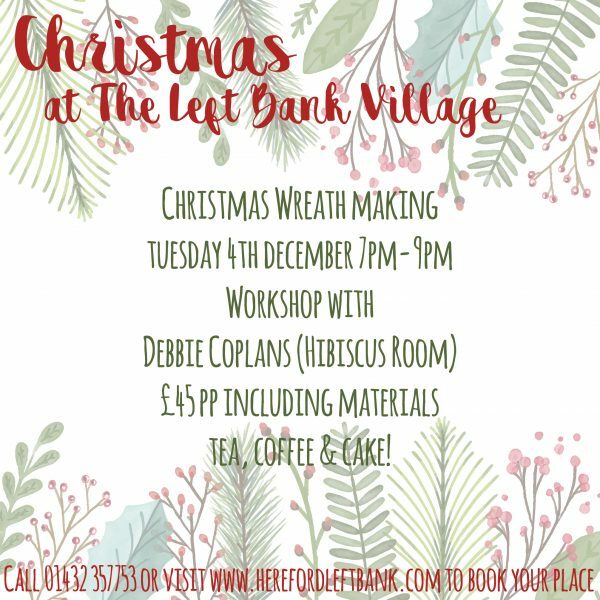 Join us for an evening of floral craftiness, with the fabulous Debbie Coplans from the Hibiscus Room in Hereford. Debbie will show you how to put together the most fabulous Christmas decorations (while making it look terribly simple! ), all in the comfort of the cosy, warm and festively decorated De Koffie Pot. Why not get a group of friends together for a bit of a pre-Christmas get together and maybe stay for a glass of mulled wine afterwards!